We all love fried food, but the fat? Not so much. 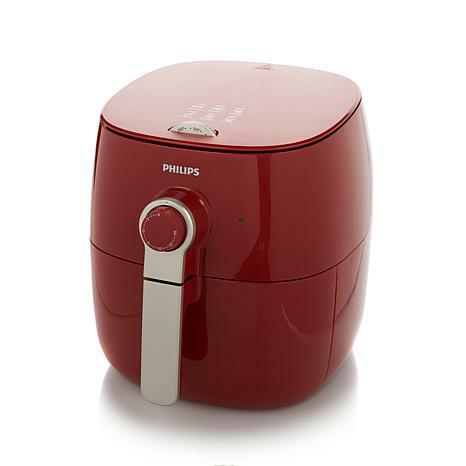 Enjoy scrumptious fried-food taste when you use this innovative air fryer. 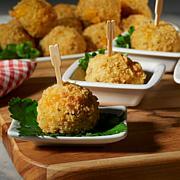 Unlike a traditional deep fryer, it uses heated air so you can fry with a fraction of the fat. 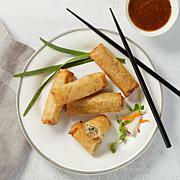 And it goes way beyond french fries — just check out the mouth-watering recipes included with your fryer! I know you can get other brands at a lower cost, but this brand works well. 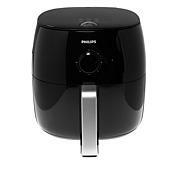 This is my 2nd Phillips air fryer and they are so easy to operate and run like a dream. I've been trying chicken wings in them with only a box coating added for seasoning. The chicken comes out crispy and juicy. I'm addicted, and I think I will air try steak next. 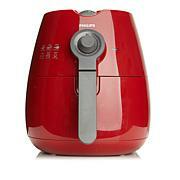 This was not my first airfryer. The first one had all the bells and whistles but the food came out burned or raw. After much research I decided that Phillips was the best and I was not dissapointed.. It performs beautifully! I love this product. Wish I discovered it earlier, since I dont like spending a lot of time cooking.I didnt get cooking my vegetables correct, but my salmon came out beautifully and was excellent.Would recommend for anyone who wants to stop frying in a pan. I bought this for my dad for his birthday gift. He loves loves loves it. He thanked me for helping him eat healthy.